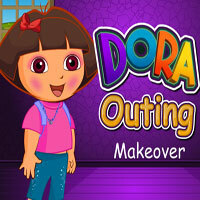 Cute Little Dora has to go out to meet her best friend. She needs your help to look beautiful. Give her a facial and also select the best dress. Go ahead and do it.